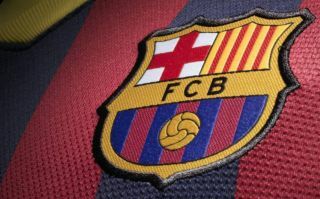 Barcelona are reportedly at risk of losing one of their young talents with Marc Cucurella said to be eyeing a departure from the club. The 20-year-old has made a positive impact for the B side, making 43 appearances over the last two years and impressing enough to earn a senior debut last season in the Copa del Rey. Particularly with the sale of Lucas Digne to Everton this summer, it would appear as though a spot has opened up for Cucurella to move up the pecking order and push Jordi Alba in Ernesto Valverde’s starting line-up, but that doesn’t seem to be the case. According to Mundo Deportivo, with Juan Miranda likely to get the back-up role to the Spanish international, that leaves Cucurella facing a difficult path to getting regular minutes and the opportunities required at his age to develop his game and improve. In turn, an exit would seem like the logical choice in order to gain experience and mature, but rather than a loan move, it’s suggested by Mundo Deportivo that it could either be a sale outright or a sale with a repurchase option to protect Barcelona’s interests if they wish to take him back to the Nou Camp in the future. However the deal is structured, it would appear as though the talented youngster could be on his way out of the club, and so it remains to be seen whether or not it’s a decision that the Catalan giants live to regret. Given Alba is still 29 and will continue to hold down the left-back position for some time while Miranda at 18 is perhaps the preferred future option, an exit for Cucurella could be ideal for all concerned.